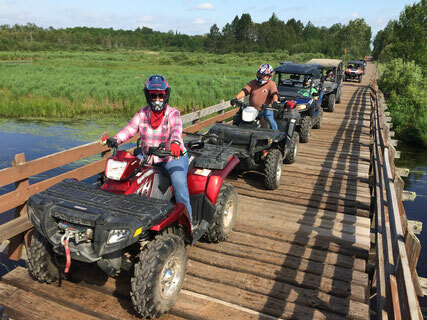 Enjoy the off-road riding opportunities on Forest Roads open to OHVs, while protecting and preserving the Chippewa NF. Regain OHV access points and rebuild trail loops on and around the Woodtick Trail. Build and maintain an active and responsible OHV trail system. Keep trail riders up-to-date on regulations. Present a positive image of ATV riders. Provide ATV Youth Safety Training Classes. Serve as DNR Trail Ambassadors to visit with riders and monitor trails. Engage the community in promoting responsible off-road riding. Here is a closer look at the club and its progress from 2009 to 2017. Just click on the pdf icon.